It is the beginning of the 3rd Century, and Han Dynasty China is in a state of flux. The Han's senior minister, Cao Cao, has rescued Emperor Xian from Dong Zhuo's minions, established a temporary capital in Xuchang, quelled most of the rebels and dealt a crippling defeat to his most powerful rival, Yuan Shao, at the Battle of Guandu.The loss at Guandu left Yuan Shao a sick man, and thoughts turn t… o his successor: the resultant crisis begins another era of chaos that empowers the Wuhuan tribes of the northeast and threatens to undo all that has been achieved. With so much at stake, Cao Cao and his strategist Guo Jia embark on their most ambitious mission yet: to destroy the Yuan clan, recapture northeast China and pacify the Wuhuan tribes in their own lands beyond the Great Wall. 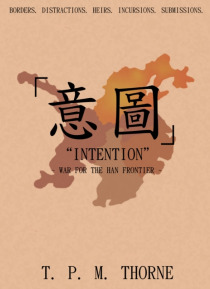 Success would allow Cao Cao to request controversial authority and demand the submission of every other rebellious faction in the land: failure would certainly lead to the end of the empire.The fate of the Han Dynasty is once again uncertain; an 'all-or-nothing' encounter at White Wolf Mountain is the next critical stage on the road to the legendary "e;Three Kingdoms"e; era.